This is a very elegant 18ct yellow gold pendant designed and handmade by Jean Wilkinson. 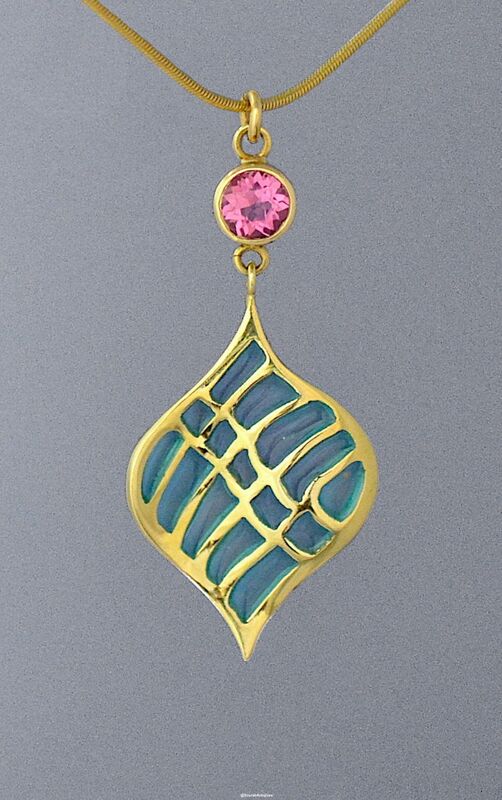 Known as Wave, there is a round rubover set pink tourmaline at the top of the pendant from which is suspended an 18ct yellow gold wave section in blue plique a jour enamel. 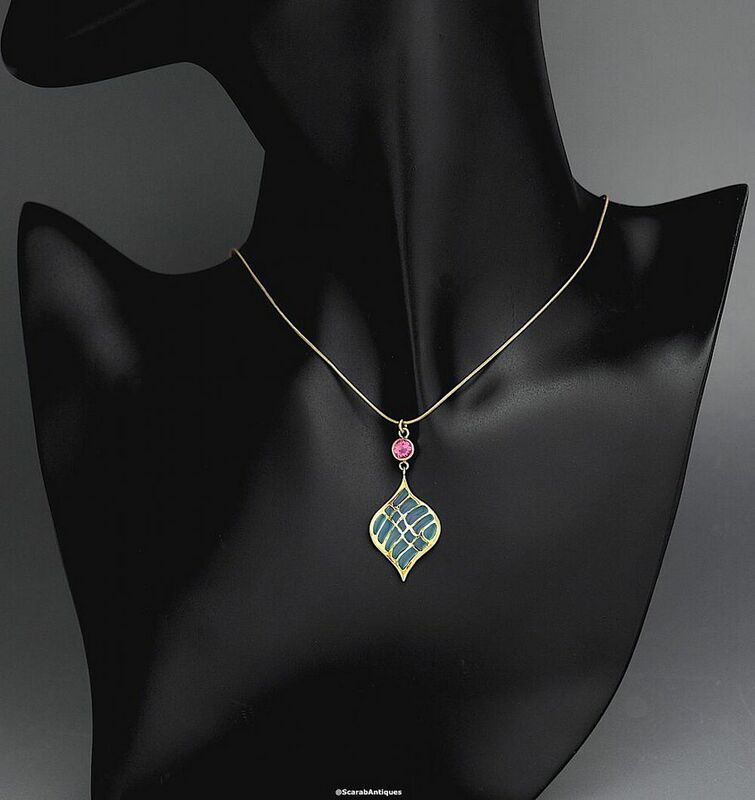 The pendant hangs from an 18ct yellow gold snake chain.